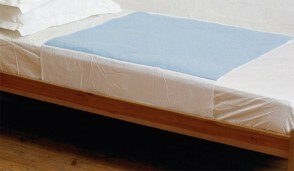 The Kylie incontinence sheet is a bed pad that gives extra protection against leakages at night. Available in various absorbencies and colours. 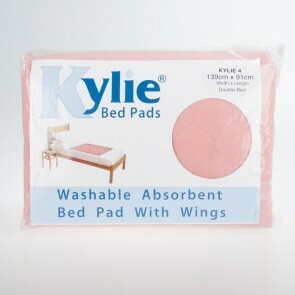 The original Kylie bed pad was created over 30 years ago, and the pink and blue Kylie incontinence sheets have become synonymous with washable bed pads. 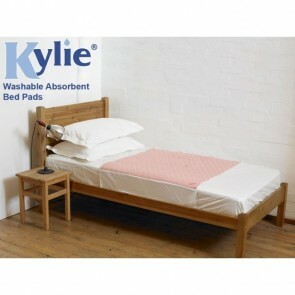 The Kylie bed pad can be used for all levels of incontinence and as a backup device against leakages in the night. If you suffer from bladder incontinence and wear protective pads or pants, you may experience the odd leakage at night. The Kylie incontinence sheet will keep your bed dry, allowing for a good night’s sleep. Kylie products come in a range of absorbencies, depending on the level of your incontinence. They can be used by those who suffer from light to severe incontinence. The bed pads are washable, and it is advised that if you are changing them daily to have at least two, so you always have one to put on in the night if needed. Each sheet has five layers of protection to soak and lock away any leakages. They can be used alongside your other bedding to protect it. The Kylie incontinence sheet will give you added protection, to manage your incontinence at night. Take a look at our range of absorbencies and colours.